To give your audience more options to drill down into your data, you can simply add additional filters to your dashboard tabs. Follow the steps below to create a new filter for your dashboard tab. In your dashboard tab, click on the Edit icon on the tool bar in the right upper corner of your dashboard to enable the edit mode. This will open a secondary dashboard tool bar below. Click on the Add Filter. 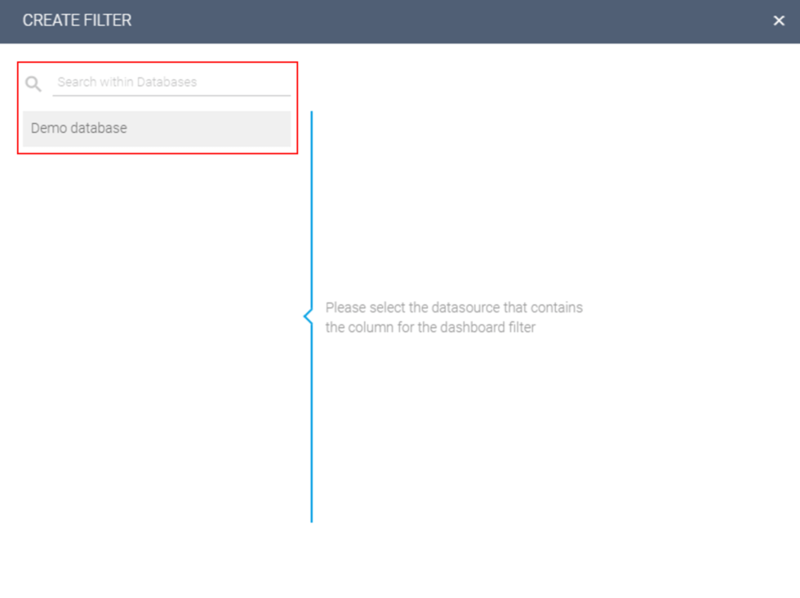 In the Create Filter popup you will be now asked to select the data source that contains the column you want to use as dashboard filter. Select the data source used to create the charts on your dashboard. From your list of tables and columns on the right please select the field you want to use as a dashboard filter. 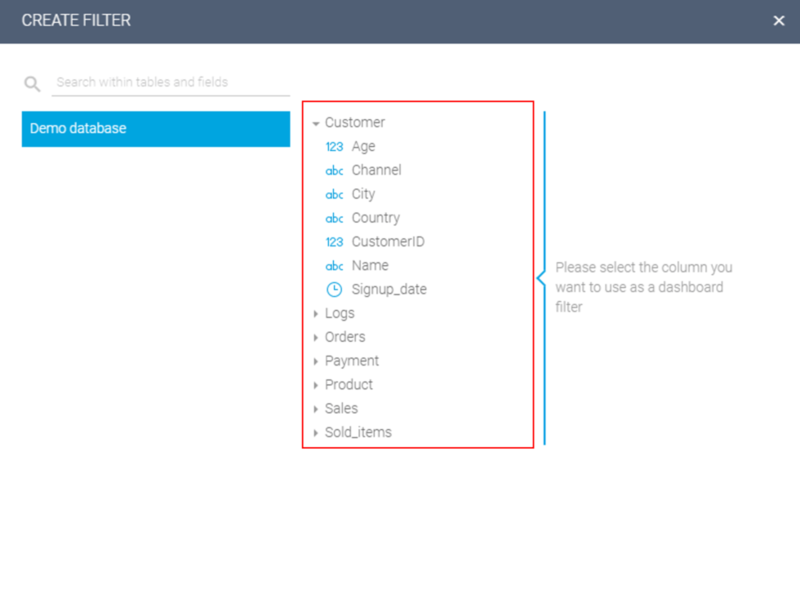 Depending on the field type of your selected column you will have different options to setup a filter for your dashboard tab. Usually you can choose between numeric values or constraints for numeric fields, text values or text rules for text fields or dynamic and static ranges for date fields. After you have defined your filter click apply to finally add the filter to your dashboard. Tip: All filter types can be applied as hidden filter. Just tick the check box next to Hide filter (can only be seen on EDIT mode) at the bottom of the filter settingbefore you populate the filter to your dashboard.